George Horner and wife, Elizabeth Horner, deeded George Horner Junior 250 acres on the west side of Mountain Creek adjoining Wm. McCulloh and Stephen Wilson (formerly Wm. Ray). James Hunter and Wm. Johnston were witnesses. Proven Feb 1785. George Horner Senr. deeded George Horner Junr. 80 acres on Mountain Creek adjoining Charles Dunnagan and Edward Wothern. Richard Rhodes Jr. and Henry Moore were witnesses. Proven Feb 1786. George Horner deeded son James Horner the plantation where George Horner now lives. Thomas Hunter and George Horner Jur. were witnesses. Proven May 1785. George Horner Senr. deeded George Horner Junr. 100 acres on Mill Creek of Little River adjoining Abercrombie, Dunnegan, Thomas Gray and Horn. John Watson and Joseph Brittan were witnesses. Proven Feb 1794. GEORGE HORNER  was born about 1726 on Kent Island on the eastern shore of Maryland (also claimed by Virginia), and died between 25 March 1793 and 20 April 1794 in St. Mary's District, Orange County, North Carolina. Little is known for certain about George until his arrival in North Carolina by 1758, perhaps as early as 1752. Any history pre-dating the birth of his daughter Lydia must remain speculation until additional colonial records are found. He may have descended form James Horner born 1610 in County Yorkshire, England, but no proof has been found. This James, at the age 24, sailed from London to Virginia on 21 August 1635 aboard the ship George and was living on the eastern shore of Maryland as early as 1652. It is believed that George married an unidentified woman about 1746 probably in York County, Pennsylvania but no record of this marriage has been found. George made his way to Orange County, North Carolina where his daughter Lydia was born about 1758 and where in Jun 1759 he was appointed overseer of a trading path road "from the house of Alexander Mebane to the River Eno." After his arrival he began accumulating land near the confluence of the Eno and Little Rivers in present day Durham County. He married (2) ELIZABETH HOLLOWAY about 1758 in Orange County, North Carolina, daughter of ROBERT HOLLOWAY. She was born before 1725 in Orange County, North Carolina, and died Aft. 1784 in Orange County, North Carolina. She was mentioned in her father's will dated 9 November 1776 and proved November 1778. Two of his sons, George Jr. and Thomas served in the North Carolina Militia during the Revolutionary War. His eldest son, William, provided patriotic (non-military) support during that war. On 3 September 1778 George was laid claim to and was granted 250 acres on the west side of Mountain Creek in Orange County, adjoining his other tract. In February 1780 he was appointed to a jury to survey a road in Orange County. In Jun of 1780 he purchased 100 acres of land from Charles Dunnegan. In September 1784 he sold 250 acres on Mountain Creek to his son George Jr. This was apparently the land grant he received in 1778. In November 1784 he laid claim to and was granted an additional 100 acres on the Little River in Orange County adjoining his existing land. In December 1784 he sold the 100 acres he bought from Charles Dunnegan to Mathew Cate. In January 1785 he sold 80 acres to his son George Jr. who, apparently , sold it almost immediately to Stephen Wilson. In February 1785 he filed a Will giving his plantation his son James after his death. It is not clear whether this is an actual will or simply a deed of gift. It is not worded like a standard will of the time and mentions no executor, names no other family members and deals only with the "plantation" with no mention of other possessions. The document was witnessed by son George Jr. In 1786 he sold 80 acres on Mountain Creek to son George Jr. In 1787 Stephen Wilson sold the 63 acres (probably the land he bought from George Jr. in 1786). This transaction was witnessed by Robert Horner. In 1790 George Sr. was taxed on 80 acres of land and in March 1793 he sold 100 acres on Little River to his son George Jr. He is not listed in the census of 1800 and no further record has been found. 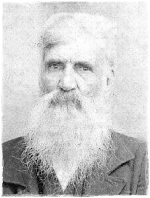 WILLIAM HORNER, b. 30 Oct 1746, perhaps in York County, Pennsylvania; d. 12 Oct 1824, Jefferson County (now Hamblem County), Tennessee. ANN HORNER, b. about 1747, York County, Pennsylvania; d. Unknown; m. JOHN OWENS, 9 Sep 1761, York County, Pennsylvania; d. Unknown. SUSANNAH HORNER, b. about 1749; d. Unknown; m. ANTHONY HAMMOND, 23 Feb 1779, Rowan County, North Carolina; d. Unknown. LYDIA HORNER, b. 25 Oct 1758, Orange County, North Carolina; d. 1858, Orange County, North Carolina; m. JOHN WATSON, 10 Jan 1775, North Carolina; b. 20 Aug 1751; d. 15 Jul 1835, Orange County, North Carolina. CHRISTIANA HORNER, b. 06 May 1760, Orange County, North Carolina; d. Unknown. GEORGE R. HORNER, b. 07 Feb 1761, Orange County, North Carolina; d. 02 Aug 1844, Moore County, North Carolina. THOMAS N. HORNER, b. 07 Feb 1761, Orange County, North Carolina; d. 10 May 1844, Orange County, North Carolina; m. SARAH FUSSELL, 07 Feb 1793 in Orange County, North Carolina. PRISCILLA HORNER, b. 15 Jan 1763, Orange County, North Carolina; d. Bef. 1818, Orange County, North Carolina; m. WILLIAM MONTGOMERY, 02 Mar 1785, Orange County, North Carolina, bondsman George Riggs; d. about 1815. ROBERT HORNER, b. Bet. 1765 - 1774. JOHN HORNER, b. about 1767, Orange County, North Carolina, m.. OLIVE LYNCH, 23 Aug 1808, Orange County, North Carolina; d. Unknown. ELIZABETH HORNER, b. about 1769, Orange County, North Carolina; d. 27 Jul 1835; m. ABNER HICKS. JAMES HORNER, b. about 1770, Orange County, NC; d. Bef. 1832, Jefferson County (now Hamblen County), Tennessee; m. LUCINDA "LUCY" FUSSELL 18 Dec 1801, Orange County, North Carolina. SIBELIA "SIBBY" HORNER, b. 2 Nov 1780, Orange County, North Carolina, d. before 1818, Dickson County, Tennessee; m. JAMES DUNNEGAN, 25 Jan 1795, Orange County, North Carolina. 1779: Orange County, Records, Vol X, State Land Grants, 1-500, William D. Bennett, privately published. Notes: The writer has found no record to substantiate the birth year or place of George Horner or that he was ever located in York County, Pennsylvania. According to the History of Lower Shenandoah Valley by Norris, 1890, a George Horner, Sr. laid warrant for 200 acres in Frederick County, Virginia [now Hampshire Co., WV] in 1748. Thomas Horner, PhD, states that "There is a deed dated February 27, 1761, in Hampshire County, West Virginia from George Horner to Ann Owen, daughter and John Owen, son-in-law, for 50 acres on North River." The portion of North Carolina to which George moved his family was first settled by the Scott-Irish. According to A Colonial History of Rowan County North Carolina published by the University of North Carolina in 1917 "The Scotch-Irish were soon followed by another stream of immigrants the Germans who had previously located in Pennsylvania." A story related by Jacob Gibbons, born 10 Sep 1745, states that his sister, Sarah Gibbons, and a Mrs. Horner were taken by Indians in Frederick County, Virginia in the spring 1756 during the French and Indian War. Neither ever returned. Apparently this George deeded land in Frederick County John Owen, husband of his daughter Ann, in February 1761. This may not be our subject. According to Virginia Horner Marlette of Person County, NC, the Bible of Jefferson Horner (d. 1879) lists Orange County births of children of George beginning in 1752. This is often referred to as the Wayne B. Horner Bible (son of Jefferson Horner) and was in the possession of Mrs. George Doughton of Durham, NC in 1956. In the 1850 Orange County census George's presumed daughter Lydia (age 93, widow of John Watson) stated that she was born in NC, this would be about 1757. The earliest record I have found for George in NC is 1759. According to Mrs. Marlette and Thomas M. Horner, PhD. the Jefferson Horner/Wayne B. Horner Family Bible states that "Thomas Horner, son of George Horner who immigrated to the State of North Carolina from the State of Pennsylvania, born in Orange County, February 7, 1761." These records seem to indicate that our subject may never have moved to VA and was in NC when another George Horner was in VA. This writer has found no records to support the contention that Ann and Susannah are daughters of George and his first wife. Proof may exist either in the Jefferson Horner Bible or the pension applications of William Horner and Priscilla (Winslow) Horner. It is interesting to not that both William and Susannah married 1767 Guilford County and 1779 Rowan Counties, west of where George was settled in Orange County in 1759. George and Elizabeth may have also had a daughter named Delilah "Dicey" who married Wyatt Fussell, son of Moses Fussell, on 25 Jun 1795; Thomas Horner served as Bondsman. They are believed to have moved to Dickson County, Tennessee along with Moses Fussell.